While the public awareness and acceptance of using IVF to grow your family has increased in recent years, egg donation is less talked about. The shame and secrecy around the subject are standing in the way of patients who could benefit from the gift of donor eggs. For many women struggling to conceive, the decision to use an egg donor can feel fraught. On the one hand, it may be the best chance you have to become pregnant: the statistical IVF success rates for older women skyrocket with the use of donor eggs. On the other hand, using a donor egg can feel like giving up on the dream of having a baby who is genetically related to you. The experience of infertility often comes with difficult emotions, and misunderstandings about the role of donor eggs in IVF can leave women feeling uncertain, insecure, and anxious about making this choice for their families. The hesitation that many people feel about considering donor eggs is unfortunate. In the world of reproductive medicine, the use of donor eggs in IVF is considered routine, and the benefits can be incredible. According to statistics collected by the Society for Assisted Reproductive Technology (SART) in 2013, a full 15% of all successful IVF cycles used donor eggs. This is because the most common reason to need fertility treatment is diminished ovarian reserve. As women age, their egg quality and quantity decreases. Women under 35 using their own eggs for IVF have about a 40% chance of having a baby, but for women over 42 that chance drops to 4.5%. However, using donor eggs changes the picture entirely: the chances of having a baby through IVF increases to 49.6% when fresh donor eggs are used, for women of any childbearing age. With such significant numbers in play and such high stakes, it is important to destigmatize the use of donor eggs in IVF. The many thousands of families who have benefited from using donor eggs with IVF are proof that this is a wonderful option which deserves more attention. While the medical and legal implications of egg donation are well understood, information about the emotional reality of using donor eggs has lagged behind. Dispelling common fears about what it is like to carry and give birth to a donor egg baby is a first step towards greater acceptance, so here are some answers to the most common questions about egg donation. Will I have a biological connection to my baby? Most patients considering using donor eggs are concerned that they will not share a genetic heritage with their child. While it’s true that when you use donor eggs in IVF, half of the baby’s DNA will come from the donor, the answer is actually a little more complex than that. These molecules are absorbed by the embryo, and may influence the expression of a baby’s DNA. Simply put, microRNAs can determine which of the developing child’s genes are turned off or on, deciding which traits will be expressed. Research continues to explore exactly how this works and the extent to which a gestating mother’s DNA affects the baby she carries, but this early evidence suggests that your biological and genetic connection to a donor egg baby may be more significant than was previously thought possible. Will using a donor egg affect the way I bond with my baby? One of the most common anxiety around using donor eggs is that the baby might not feel like it is really yours. This fear does not take into account the profound influence of carrying a baby inside your body for nine months. The experience of pregnancy is uniquely intimate, and science is discovering just how much bonding takes place within the womb. Studies from the 80s first showed that babies learned their mothers’ voices before birth, and showed a clear preference for them after birth, and research since then has only confirmed what we learned then. Unborn babies have been observed reacting selectively to their mother’s voice and touch as early as the second trimester, according to research published in 2015, which is only one recent example of the science behind prenatal attachment. Research is clear on this point, and the anecdotal evidence backs it up. 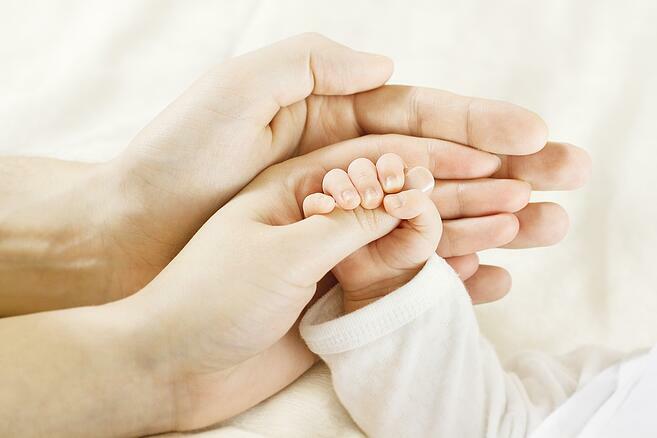 As soon as a donor-egg embryo implants in your uterus, the bonding process has begun, and this bond will continue to grow throughout the experience of carrying and giving birth to your baby. Who should know that I used donor eggs? Deciding whether, when, and how to share the information that you have become pregnant using a donor egg is a profoundly personal decision. Being open with your child about their genetic history from the beginning is the healthiest choice, and there are resources available to help you have this conversation early and often, so that it never becomes a fraught issue within the family. Knowing that they were special, and chosen, and very much wanted can be a positive experience for your child, and having access to genetic information for future health reasons is important. Beyond the immediate family circle, however, you can choose to share as much or as little as you like. An open and matter-of-fact attitude to egg donation can be a powerful positive example, but you have a right to privacy, particularly if you expect criticism or uncomfortable questioning. It may help to work through these questions with a counselling professional who has experience with reproductive issues before you have these conversations with friends and family. Donor eggs can help women overcome fertility at any age, and they even the playing field for women in their 40s and beyond. They can offer a precious chance of getting pregnant and bringing home a baby in situations where it seems otherwise impossible. Infertility can be an isolating experience, but you are not on this journey alone. Seek out success stories from other families, and ask questions. Online fertility support communities can be a powerful way to learn about what it is like to have a baby through IVF and donor eggs, and they can also be an invaluable source of emotional support. If you are wondering whether this might be the right decision for you, don’t hesitate to talk about it with your Los Angeles fertility expert. They have seen the benefits first hand, and they know and understand the emotional complexity of this issue. They can help you make the right choice for you and your family. 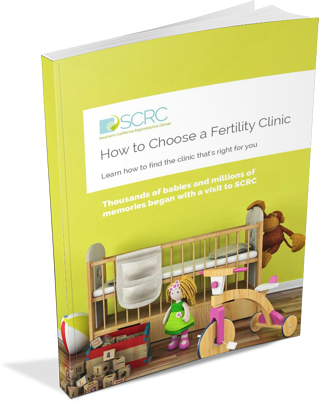 Explore the reality of the fertility treatment journey through the eyes of SCRC patients. Stay up to date with the world of fertility through weekly blogs from SCRC. Explore how nutrition relates to fertility along with healthy fertility diet and exercise tips. SCRC is dedicated to spreading fertility awareness through hosting and attending community events. Stay tuned for special features including events, awareness initiatives and surprise posts from our fertility community. Wendy Burch is an Emmy-winning journalist, acclaimed professional writer, and inspiring motivational speaker.